For the United States, entrance into World War II began here on the island of Oahu when Japanese planes attacked Pearl Harbor on December 7, 1941. 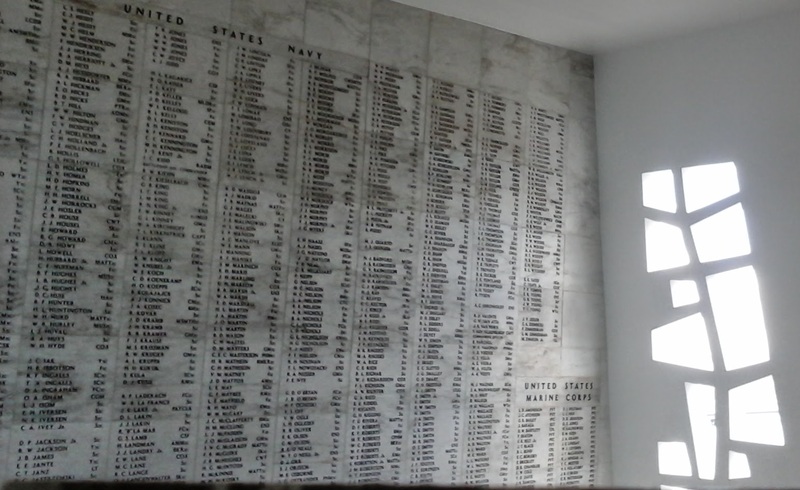 Engraved on this wall in the floating memorial are the names of 1,177 men who died that day on the Arizona. That number represents almost half of the population of men, women, and civilians who died in the attack that day. My dad was a veteran of WWII, landing on Omaha Beach in Normandy. My father-in-law was also a veteran of WWII, serving on a battleship in the Pacific. This Memorial Day I am thankful for the heritage of brave warriors in my family and for the men and women who have served and still serve our country today in the armed forces.